In the Stephens Engineering workshop, customers often bring their BMW automatic transmission problems to us for our experience and knowledge of BMW automatic transmissions. Over the many years of working on BMW automatic gearboxes, we have seen and solved many common BMW gearbox faults. The General Motors’ automatic transmission is the automatic gearbox fitted to some BMW models. The General Motors’ automatic gearbox is a robust, computer controlled automatic gearbox. The robust and hardworking BMW gearbox can suffer from torque converter issues at high mileage. In addition, another common BMW gearbox problem is lubrication starvation within certain areas of the BMW automatic transmission, again when the vehicle has been subjected to high mileage. When a BMW with a gearbox fault is brought into the Stephens Engineering work, we carry out a through inspection of the BMW automatic transmission and during the rebuild of the BMW transmission, we also update the torque converter and valve body assembly. With our specialist knowledge and experience, we that BMW’s cooler system also requires attention to ensure smooth running of the gearbox and this is an area which we ensure is cleaned thoroughly. Once the BMW transmission repairs have been completed within the workshop, we road test the BMW with a pressure gauge to confirm that all the BMW’s readings are consistent and in line with manufacturer’s data. If you are experiencing BMW automatic transmission problems, book in your BMW with the automatic transmission repair experts in Ware and we’ll repair your BMW automatic gearbox so that you can return to effortless motoring. A 2008 BMW X5 gearbox repair was recently carried out in the Stephens Engineering workshop. The 2008 BMW X5 has the ZF six speed automatic transmission. The earlier BMW X5 version used a GM five speed or the ZF five speed unit. The BMW X5 was subject to a road test which confirmed the problem was a slip in 5th and 6th gear of the BMW X5. The diagnostic scan noted the code “Slip from the E-clutch assembly”. 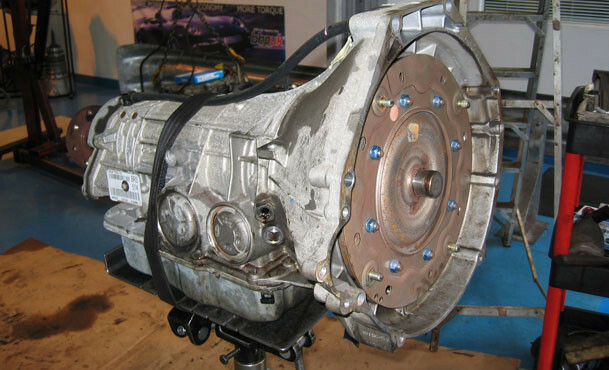 To commence the BMW X5 gearbox repair, the BMW X5 gearbox was removed and dismantled. The BMW’s E-clutch was then pressure tested whilst being subject to heat which confirmed the BMW E-clutch had a pressure loss. The E-clutch unit of the BMW X5 transmission was replaced with a ZF drum assembly and the transmission unit was then rebuilt using original ZF components. The valve body of the BMW X5 was up-rated and the automatic transmission was re-assembled. The automatic transmission unit was refitted with an exchange torque converter. The BMW X5 transmission control unit was adapted. To check that the fault had been successfully rectified, a long road test carried out and this confirmed that BMW X5 gearbox repair had been successful and that the gearbox of the 2008 BMW X5 was back to it’s original level of performance. 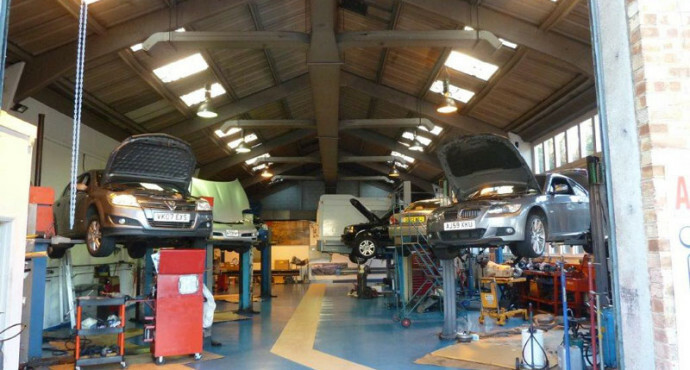 At Stephens Engineering, we specialise in repairing and resolving automatic transmission faults. Contact Stephens Engineering to book in your vehicle and restore your vehicle’s level of performance.